The glacial deposits in the Netherlands. 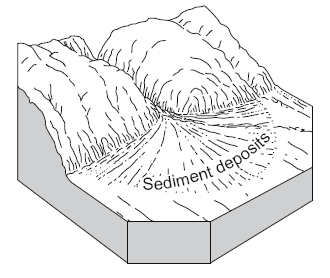 Alluvial fans are fan-shaped deposits of water-transported material (alluvium). 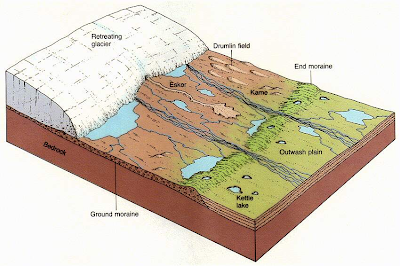 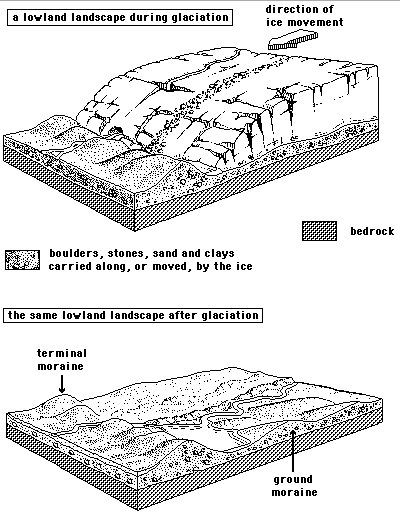 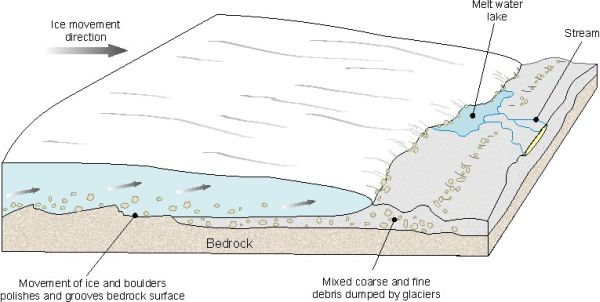 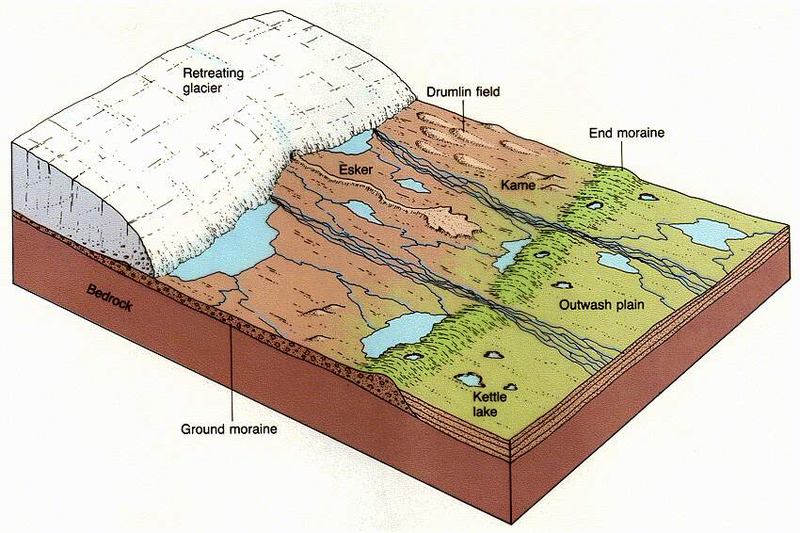 Cross-section of an ice lob with push moraines, sandr and boulder clay.